Merck and Foundation Medicine have announced the companies will collaborate to develop a companion diagnostic (CDx) for use with the pharma giant’s Merck’s anti-PD-1 therapy and the first approved immunotherapy for microsatellite instability (MSI) high or mismatch repair deficient solid tumors, Keytruda. 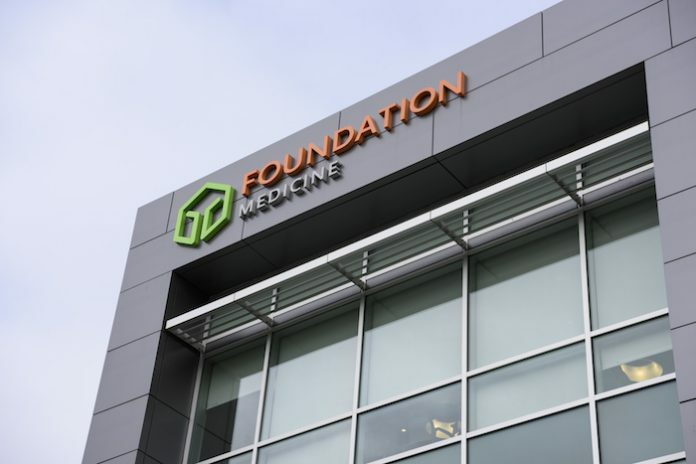 According to Foundation Medicine, the diagnostic will be built using its existing FoundationOne CDx, which was approved late last year by the FDA across all solid tumors. The new diagnostic to be developed under the collaboration will be a pan-cancer test to measure MSI. The companies also announced future CDx co-development focused on tumor mutational burden (TMB), along with other potential biomarkers of drug response. Both MSI and TMB have emerged in the past few years as significant biomarkers to measure and predict response to cancer immunotherapies. “Rapidly evolving knowledge of cancer biology and immuno-oncology continues to improve understanding of how to deploy our medicines to identify those patients most likely to respond effectively,” said Eric Rubin, M.D., senior vice president oncology clinical development at Merck Research Laboratories. The FoundationOne CDx currently screens for genetic alteration in 324 genes know to drive the growth of cancer. The broad-based CDx identifies patients who may benefit from treatment with one of 17 on-label targeted therapies, including 12 FDA-approved first-line therapies for a range of indications. Currently, the test also detects MSI and TMB genomic signatures using DNA isolated from formalin-fixed paraffin embedded (FFPE) tumor tissue specimens. The co-development deal with Merck will look to move these capabilities from the research lab to the clinic. Foundation Medicine has been very active in it works with pharmaceutical companies looking to leverage the pan-cancer diagnostic capabilities of FoundationOne CDx. In January the company announced a broad-based collaboration with Pfizer for CDx development related to the pharma company’s 10 FDA-approved cancer drugs, as well as provide access to Foundation Medicine’s data analytics platform FoundationInsights which will be used for biomarker discovery and clinical trial design. Keytruda, has been approved as treatment for metastatic melanoma, and non-small cell lung cancer (NSCLC). It is also the first cancer drug to win FDA-approval for tumors with mismatch repair deficiencies or MSI-high, marking the first time a cancer drug has been approved for indications based on its genetic profile, regardless of the cancer tissue of origin. The current CDx for Keytruda is the Dako PD-L1 IHC 22C3 pharmDx from Agilent Technologies. The diagnostic was originally developed by Dako in conjunction with Merck, and in 2015 received FDA approval as a companion diagnostic for NSCLC.